Steve McQueen hooked me on racing with his epic homage to Le Mans, and Pedro Rodríguez became the man with the balls to wrestle the deadly Porsche 917 beast-of-a-racecar not just into submission, but on to victory. 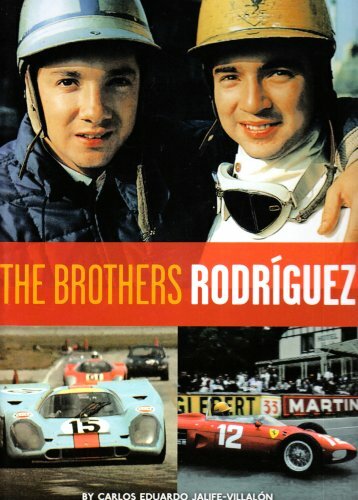 Now, David Bull Publishing has brought us the story behind Pedro and Ricardo, the brothers who shook up the racing world in those bygone days. For men (and especially motorheads) of a certain age, McQueen’s Le Mans was a rite of passage. We may not have had the capital to attend the battle of the titans that lasted two full times around the clock, and was waged on the public roads a few hours outside Paris. But, our boy Steve captured the visual and aural magic of the Porsche 971/Ferrari 512 war in a way that has yet to be repeated. That movie caused me to start paying closer attention to World Championship Endurance racing, and the name Pedro Rodríguez kept appearing at or near the top of the results charts. I wondered who this brave, young buck was, and how did he get to the pinnacle of the racing world “so fast”? Well Carlos Eduardo Jalife-Villalón’s book tells us not only about Pedro’s life on the track, but it also traces the rise of my hero and his brother Ricardo from obscurity, to international celebrity status, and ends with their untimely deaths. With 607 pages and nearly 4,000 black and white and color photos, this 9 x 13-inch hardbound book is literally a weighty biography; it tipped my postal scale at 11 pounds. But this large book is an appropriate scale for the in-depth look the author provides of the brothers. Many of the photos have never been published, and a slew of them are courtesy of the Rodríguez family. They provide us with a close look at what it was like to grow up as the macho sons of their powerful, wealthy, and well-connected father, Don Pedro. 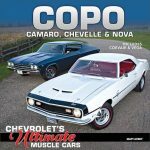 As one of the sponsors of several cars entered into the Carrera Panamericana, Don Pedro was able to get the boys introductions to some of the world’s top drivers. But I have a particular affection for one acquaintance that became better known as a race car entrant and spotter of racing talent. 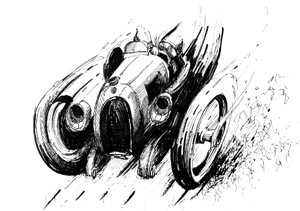 Despite winning Le Mans three times, Luigi Chinetti Senior may be best remembered for creating NART (the North American Racing Team). From his small shop in tony Greenwich, Chinetti’s team contested Le Mans, Sebring, Daytona, Watkins Glen and other endurance events with Ferraris ranging from the cutting edge, to old and nearly worn-out. 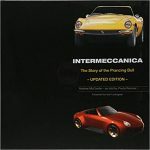 Having worked for Chinetti in the mid-seventies as the parts department manager, I was fascinated with the insights the author provided into the behind-the-scenes negotiations between Chinetti and Rodríguez Senior over the best method of bringing the boys to Enzo Ferrari’s attention. I guess it worked. After finishing second at the 24 hours of Le Mans in a Ferrari TR59, Ricardo went on to the factory Ferrari Grand Prix team as the youngest ever Formula One driver. Sadly he passed away in a Lotus crash during practice for a race in the fall of 1962. The tragedy caused Pedro to retire for a while, but he returned with an even fiercer resolve to make his way to the top of the podium and the racing world. His first place finish in the 1971 24 hours of Daytona with teammate Jackie Oliver remains my favorite Pedro victory. Oliver provides a foreword to the book. The author concentrates on the brother’s racing career, but also provides us with an in-depth view of what it was like off the track in Mexico for these young playboys. 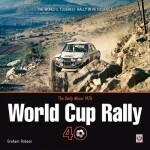 If you are a fan of this golden era of racing, or even have a casual interest, this book would make a fine anchor for your collection of racing books. 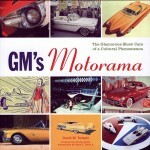 Won 2009 Motor Press Guild Dean Batchelor Award.